Shopping for mom can be difficult. Chocolates, flowers, and jewelry—they’re all nice gift ideas, but the best present your mom could ask for is something that comes from the heart. When you sit down and think about her interests and her passions, the gift ideas that you’ll come up with will be more meaningful than anything you could pick up from a department store. Need a little bit of inspiration to help you get your creative juices flowing? In this blog, you’ll discover unique DIY gift basket ideas that are personalized, meaningful, and full of all the little things your mom will adore. Motherhood is a lifetime commitment—even if you’re on your own now, your mom still worries about you. Give her the gift of relaxation with this spa-themed gift basket, filled to the brim with therapeutic wonders that you picked out especially for her. The Spa Lover’s Dream gift basket starts with the perfect base. With a wide selection of gift baskets and boxes to choose from, it’s easy to find exactly what you’re looking for. Once you’ve found the perfect basket for the Spa Lover’s Dream basket, fill it with some filler or gift shred to make it look professional. Though using your mom’s favorite color is great, you can also create a more colorful theme with three or four different hued shreds. For the contents, you can choose from a variety of store bought products or make homemade alternatives. Either way, you should fill the basket with a lotion, a sugar scrub, some soap, bath fizz balls, and an eye pillow. All you need to create a sensual lotion is coconut oil, shea butter, and an essential oil of your choice. If you’re looking for a way to make a scrub, the Glue & Glitter blog has a fast and easy guide to making a personalized scrub. For a simple soap solution, take a look at Gluesticks, the blog with a fantastic poppy seed soap recipe. With this unique DIY gift basket idea, you can treat your mom to an afternoon tea for two. Start by picking out your preferred basket or tray, but instead of filling it with paper shred, line it with colored, non-toxic tissue sheets or cloth napkins. You can then include any number of goodies. Some suggestions for your basket include finger sandwiches wrapped in decorative parchment paper, mason jars filled with fresh fruit salad, pastries, homemade tea bags in your mom’s favorite loose leaf tea flavors, and a ceramic tea set. While you could buy tea bags from your local grocery store, making your own is a great way to personalize your mom’s gift. This tutorial from Make Your Own Zone is an easy way to create personalized tea bags. All you need is the loose leaf tea of your choice, coffee filters, string, and a sheet of paper. A gardening basket is designed for moms who like to cultivate their yards. While you could use a traditional basket for your gardening gift basket, you should opt for a more creative base, like a watering can or a cloth tool tote—both of which are useful even after you’ve given your mom her gift. Hand tools (trowel, cultivator, pocket snips or pruners). If you choose to use a tool tote as your basket, think about including a small watering can as well, or even a new nozzle for her hose. 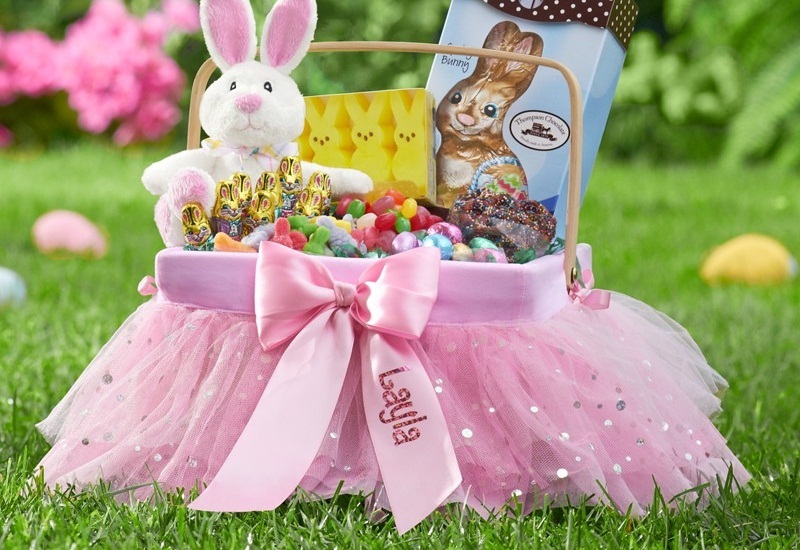 These baskets are just a few ideas to help you design the perfect personalized gift. Make these ideas your own for a basket your mom will really appreciate on her birthday, on Mother’s Day, or any other special occasion. For more creative inspiration, you can find wonderful gift ideas your mom will love here.